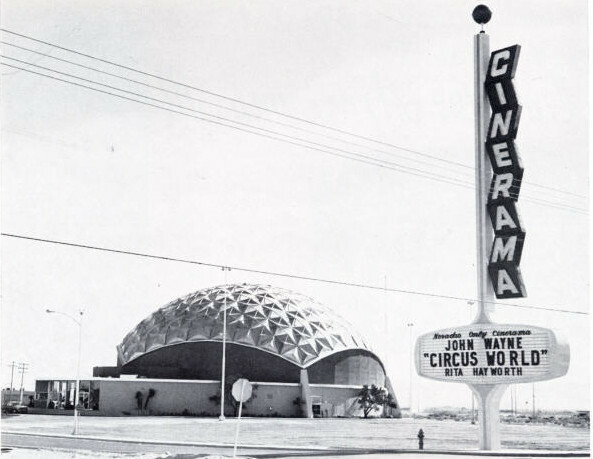 The Cinerama Theater -there weren't very many of them but we had one. Located on Viking Road just off Paradise, this was a terrific theater. I dragged my friends there to see many a film, including "Fantasia", "The Hindenburg" and "The Three Musketeers". The Fox theater located in the Charleston Plaza Mall. This was a large and elegant theater located in the first mall in Las Vegas. On East Charleston, just south of downtown, this theater had a sign that could be seen for miles. We saw "The Sound of Music", "Butch Cassidy and the Sundance Kid", "The Hot Rock" and on New Year's Eve, "The Poseidon Adventure". The Stardust Drive-In located behind the hotel. We saw "Viva Las Vegas" there. My parents were big Elvis fans and my dad was working at the Golden Gate when they were filming the movie and stepped outside of the casino to watch the filming of the race. The SkyWay Drive-In. After the Stardust Drive-In closed, we used to drive out Boulder Highway to this great Drive-In. My dad bundled us all up and took us to see "Night of the Living Dead" after my mother brought home a Reader's Digest that had an article, "The film you don't want your kids to see". My dad had a wicked sense of humor. The Huntridge Theater at East Charleston and Maryland Parkway was the closest theater we had to an old fashioned movie palace. Complete with soundproof "cry room" for unruly babies, the theater was home to Disney films and Saturday afternoons the theater was filled with kids. In addition to the Disney films, my friend Alan and I saw "Kelly's Heroes" and "The Life and Times of Judge Roy Bean" there. Other theaters I loved were the long-gone MGM Grand Theater in the original MGM Grand Hotel (now Bally's). This theater had plush love-sets and a cocktail waitress that brought your drink order to you. You ordered just by pressing a button on the cocktail table in front of you. They only ran classic MGM films but I was already a big film buff by the time the hotel opened and they changed the bill every week. You got a handout with a synopsis of the film and the cast listing. They showed a cartoon, newsreel and then the film. It was old-fashioned and it was beyond great. The Red Rock Theaters on West Charleston. We lived in Charleston Heights and this was the theater closest to us. Started as a a dual screened theater, it ultimately expanded to 11 theaters. The theaters in the back were placed around an old-time Main Street like square. We lived at this place, it seemed, when I was in high school. Between this and the MGM Grand theater, my weekends were spent at the movies. We saw "The Sting", "Billy Jack", "The Godfather" and every major (and minor) film that came out in the 1970s. The Guild Theater, the El Portal and the Fremont Theaters were all located downtown. The Guild was more an art house back then. I saw "Next Stop, Greenwich Village", "The Passenger" and other art films of the 1970s there. The Parkway Theaters across the street from the Boulevard Mall. The Parkway was a dual screen theater. We saw "Close Encounters of the Third Kind" and "Star Wars" there. How about you, which theater was your favorite? The Huntridge Theater- A reprieve for now! Two weeks ago, Mr. Mizrachi told the crowd at the Save the Huntridge meeting that he wanted to save the property, find a viable tenant and make the property successful. He assured us he did not want to tear down the historic buildings. He went to Carson City today to ask that the covenants placed on the building by the State be removed. He offered to pay back the money, $1.5 million, that had been awarded to the previous owners in exchange for the removal. This would have had damaging repercussions as it would have set a precedent nationally for owners of historic properties. Word came late this afternoon that Eli Mizrachi's bid to have the state's two covenants on the historic Huntridge Theater overturned was turned down by the State's Cultural Affairs Commission. They instructed their staff to work with Mr. Mizrachi to find viable tenants for the property. They said they would revist the situation when they meet again in September. We applaud the Cultural Affairs Commission for refusing, at this point, to accept Mr. Mizrachi's offer. We hope that a new tenant(s) can be found. Our pal, Allen Sandquist, uncovered a treasure trove of historical information about the Huntridge Theater yesterday while googling about the venerable theater. Ticket prices were 44 cents for adults; 30 cents for students and military personnel; and 14 cents for children under 12. The phone number was just "86". On September 1, 1945, the theater was showing "Secrets of the Wasteland" starring western star William Boyd (Hopalong Cassidy). The projectionist stopped the movie so that management could make the announcement that the Japanese had officially surrendered and the War was over. In December, management had a week-long give-away of "free, nylon stockings". The promotion paid off as nylon had been a scarce material during the War years. The material had been commandeered for the manufacture of parachutes during the War. 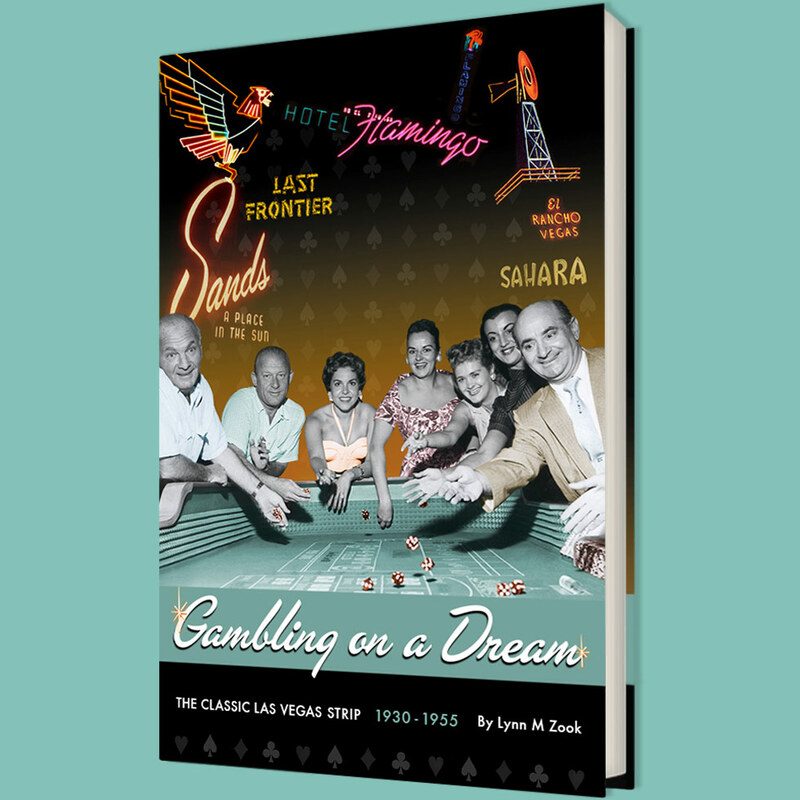 By 1951 when Lloyd and Edythe Katz begin managing the theater (along with the Fremont and the Palace-which would be, ultimately, renamed the Guild), admission was now 65 cents for adults. Jane Russell and Vincent Price appeared on-stage as part of the premiere for "The Las Vegas Story". The film had also premiered that evening at the Fremont Theater downtown but due to the overwhelming crowd, the print had to be bicycled between the two theaters to accommodate the crowd. The phone number was changed to Du-8600. The DU stood for Dudley, which was the exchange for that neighborhood. Does anyone know why? In 1956, Katz courted controversy by screening "And God Created Woman" starring Brigitte Bardot. The Catholic Church and Legion of Decency railed against the film. Katz agreed to only show the film in the evening and only for adults over 18. In 1957, the Treniers appeared on-stage at the Huntridge as part of a promotion, the Rock-N-Roll-athon. The promotion was aimed at the growing teenage audience that was frequenting the theater. "Don't Knock the Rock" , starring famed rock and roll deejay, Alan Freed, was showing and the price of admission was 90 cents. In December, Katz removed two rows of seats to accommodate the wide-screen sensation sweeping movie theaters across the country. To kick-off the wide-screen craze Katz showed "Around the World in 80 Days". The producer, Mike Todd, a good friend of Katz, stopped into the theater to oversee the installation. On November 23, 1963, President John F. Kennedy was killed while visiting Dallas, Texas. Katz cancelled the afternoon and evening screenings of "Take Her She's Mine". Throughout the 1960s the Huntridge Theater was the place to see Disney films, both live-action and the animated features. The children's Saturday matinees were one of the most popular in town. 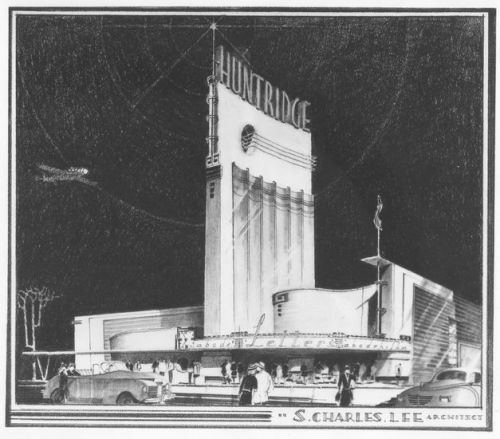 By the 1970s, the Huntridge was fighting off other neighborhood theaters such as the Parkway and the Boulevard Theaters located near the Boulevard Mall as well as the Red Rock 11 Theaters in Charleston Heights. In 1977, Katz announced that owner Irene Dunne would not renew the lease nor would she let him buy the property. Raggedy Ann and Andy: A Musical Adventure was the last film to play the theater. Katz had run the theater for 32 years. No other theater in town could boast of a manager as successful as Lloyd Katz. In 1979, Irene Dunne finally decided to sell the theater to Frank Silvaggio. The theater was halved and became the Huntridge Twin Theaters in 1981. It re-opened as a revival house showing "Mutiny on the Bounty" starring Clark Gable and "King Kong" starring Fay Wray. With the closure of the MGM Grand Hotel's movie theater after the disastrous 1980 fire, the Huntridge had the corner on revival theaters in Las Vegas. The new manager was Donald Lesh, a businessman from Portland, Oregon. Lesh brought the cult-favorite "Rocky Horror Picture Show" to the theater as a midnight movie. It ran for over a year but by July 1982, Lesh filed for bankruptcy. Mountain View Theaters on South Jones. In 1991, the City toyed with the idea of buying the building if Silvaggio would agree to do an asbestos study. Silvaggio turned them down. In 1992, Richard Lenz and the Friends of the Huntridge, a non-profit group, bought the building from Silvaggio for $1.1 million. The group received $30,000 in grants from the State Cultural Affairs Commission as well as $150,000 from the City's Redevelopment Fund. The City placed a covenant on the building stating that the building would be used as a performing arts venue for twenty years from the date of purchase. The covenant expires in 2012. Another covenant states the owners "assume the cost of the continued maintenance and repair of said property as to preserve the architectural, historical, cultural integrity of the Huntridge Theater." This applies to all owners previous and current. The State also placed a covenant on the building that it could not be torn down. Both of those convenants are in effect until 2017. The Friends of the Huntridge ultimately received over $1.5 million in grant money from the State. Lenz reopened the Huntridge as an alternative Rock venue. Quiet Riot was one of the first acts to play the new Huntridge. By 1993, the Huntridge was proving to be a success. Ice-T performed there despite controversy over his single "Cop Killer" and the fact that Metro had refused to send officers to the theater. In 1993, the Huntridge was placed on the National Register of Historic Places. In 1995, just hours before the Circle Jerks were to take the stage, the roof collapsed. According to Michael Toole's account the "bands lead singer Keith Morris would relate years later: "As soon as we got there, we were told that the roof had collapsed and the show was canceled. We didn't have anywhere else to go, so we just set up our equipment in the parking lot and played for the 30 or 40 people who were still there." The result was an impromptu mosh pit that showed endlessly gyrating kids thrashing frantically on the outdoor pavement. Fortunately for us, the moment was captured live on MTV. " A year and a half later the theater reopened with a new roof, new seats, remodeled bathrooms, a new recording studio and a new color scheme, teal and orange. The Toasters rechristened the theater. Costs for renovation were $525,000. Beck performed at the theater in 1997 just months before being named Spin Magazine's Artist of the Year. It was the home to the first CineVegas Film Festival in 1998. The Festival showed both experimental and student films. The Nevada Board of Museums placed the theater on the State's Register of Historic Places. In 2000, the Friends of the Huntridge received an additional grant of $55,000 from the State's Cultural Affairs Commission amid rumors that the theater was in financial trouble. Due to increased competition from the House of Blues at Mandalay Bay and the Joint at the Hard Rock, Lenz told reporter Rob Bhat that he had to rent the facility out to churches to keep the doors open. In June of that year, the City agreed to another $100,000 grant to help keep the facility open. In May, 2001, Richard Lenz resigned as Executive Director of the Friends of the Huntridge and concentrated on the small Sanctuary (the old Huntridge Station Post Office) at the back of the property. He told Las Vegas City Life reporters that he would open a high-end sound studio there. On New Year's Day, 2002, the Mizrachi family which owned Cima Furniture (in the old bank building next door) bought the Huntridge for $925,000. They announced that Eli, then 29 years old, would continue to run the venue as a place for up and coming bands. Eleven months later, the Huntridge re-opened with a new sound system. The Damned rechristened the theater. On Halloween, 2003, the Rocky Horror Picture Show returned to the Huntridge. Those doing "The Time Warp" include old and young fans alike. In June of 2004, as part of MTV2's 2Bill Concert Series, the Beastie Boys requested to use the Huntridge. As the hosting band for the live TV Concert, the theater received lots of attention and promotion. Six weeks later the theater closed amid promises to reopen after renovations were completed. The final bands included Guttermouth, Dimmu Borgir, Bleeding Through and God Forbid. Almost four years later, the theater is still closed. In 2006, the Mizrachi family first raised the idea of paying back the $1.5 million that the State had given the Friends of the Huntridge in exchange for being able to alter or raze the building. The Mizrachi family ultimately bought the rest of the property on the Huntridge site. The State gave over $1.5 million in grants to the Friends of the Huntridge to help preserve and restore the building. The City gave over $250,000 in Redevelopment Funds to the Friends of the Huntridge to help preserve and restore the building. The Building must remain a performing arts venue until 2012 (placed by the City). The Building cannot be torn down until 2017 (placed by the State). The owners (meaning the Mizrachi's) "assume the cost of the continued maintenance and repair of said property as to preserve the architectural, historical, cultural integrity," of the Huntridge. (placed we believe by the State). The Mizrachi's raised the idea of repaying the State the money given to the Friends of the Huntridge once before in 2006. They also talked of tearing the building down at that time. Nothing came of those talks at that time. According to what Eli said at the Save the Huntridge meeting on Saturday when the Mizrachi family bought the building in early 2002, the chandelier, the lighting fixtures. decorative fixtures and the projection equipment had all been removed. Special thanks to Allen Sandquist and writer Michael Toole.